Our organically made wines are a pure expression of varietal and vineyard – from crisp, clean whites to classic reds. 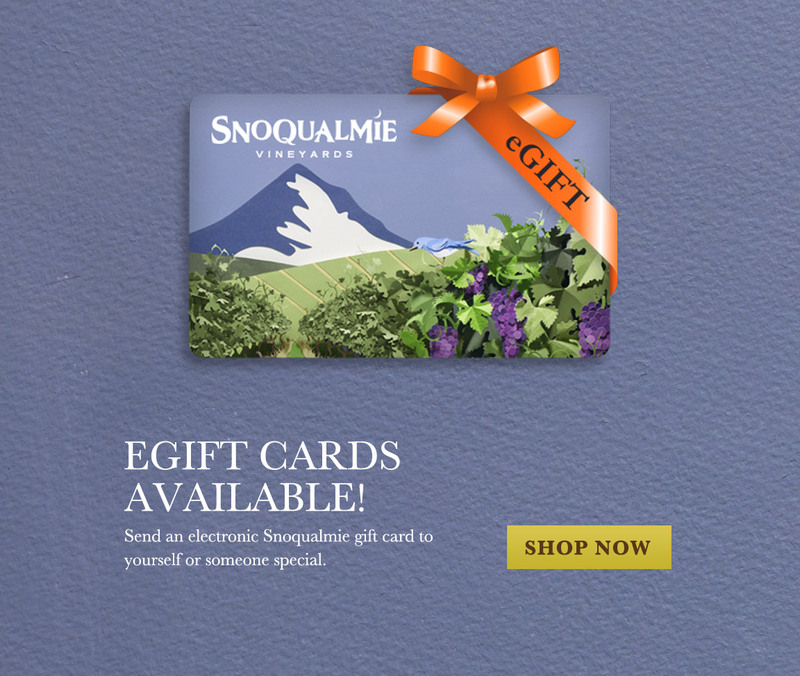 Send an electronic Snoqualmie gift card to yourself or someone special! To learn more about our wines, receive updates and special offers, we encourage you to sign up for our mailing list. Our helpful Concierge staff is available weekdays 9am–5pm and weekends 9am–4pm PST. 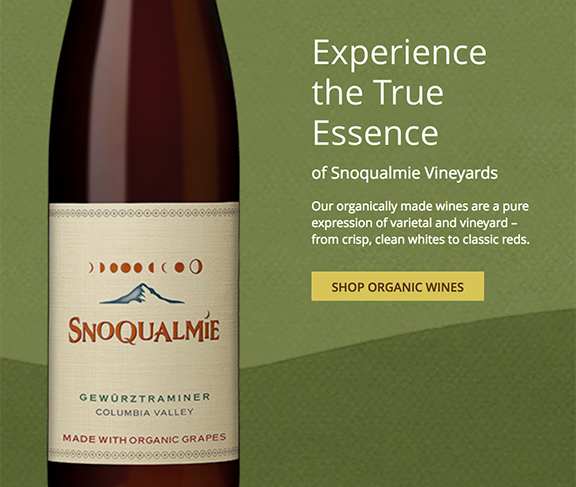 Please call 1-800-852-0885 or email us at orders@snoqualmie.com.